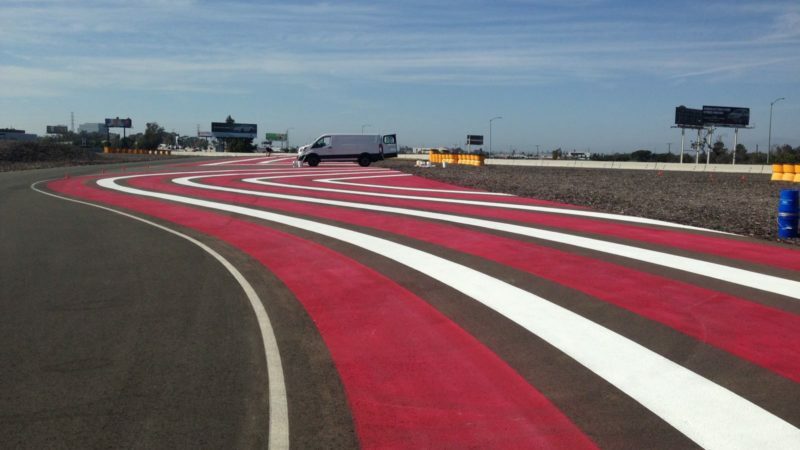 As the experts in race track marking at motorsports circuits around the world, we were delighted to be involved in the track design at the Porsche Test Track in Los Angeles, USA. 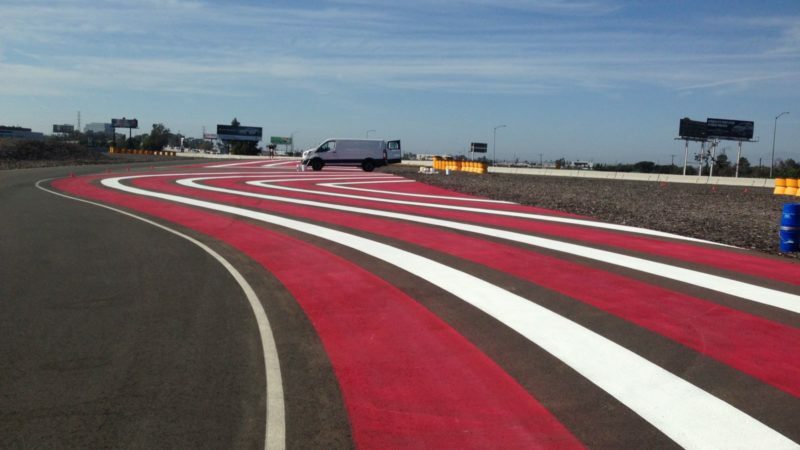 The Roadgrip Motorsports Division were contracted to manage all run-off designs and track painting for Porsche at the LA test track. 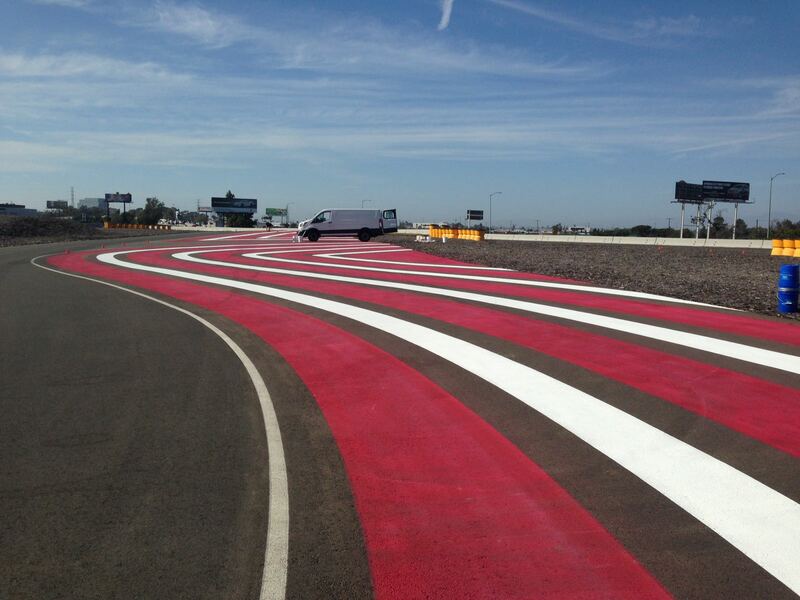 After the designs had been agreed and the track prepared by our team, we applied anti-skid paint to create safe and stunning lines and markings around the circuit. 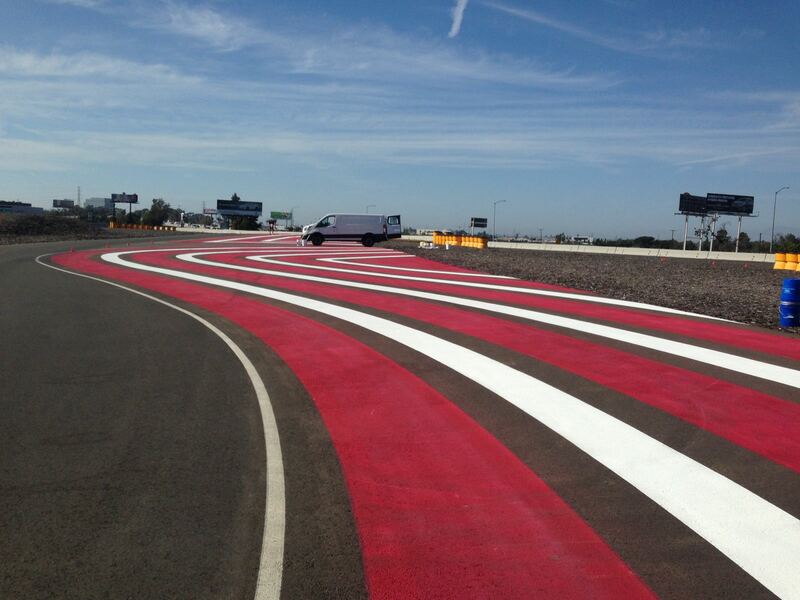 The anti-skid paint we use is FIA approved and guarantees good and predictable grip for the cars over the run off areas. If you love motorsports like we do, take a look at our gallery of track marking work at Roadgrip Motorsports. If you have a project, please contact us below.